These precious tools, Melati and Balakas, are worn by Balinese males during festivities and are actually used as tools. They are passed down from father to son and are very valuable to the family. Ketut Badung, our head gardener at Jiwa Damai invited the whole team and our volunteers to join him at his village in his compound to attend the wedding of his nephew. The altar in the background with all the Balinese offerings is made completely our of pork. This was prepared by the whole village and will also be eaten by the village later. The headdresses of the bride and the groom weigh about 5 kg each. The clots are very beautiful and elaborate. Guests come and go all day to bring gifts, mostly some money in an envelope to support the expenses. This was a wonderful event to witness and a beautiful opportunity to experience Balinese culture. 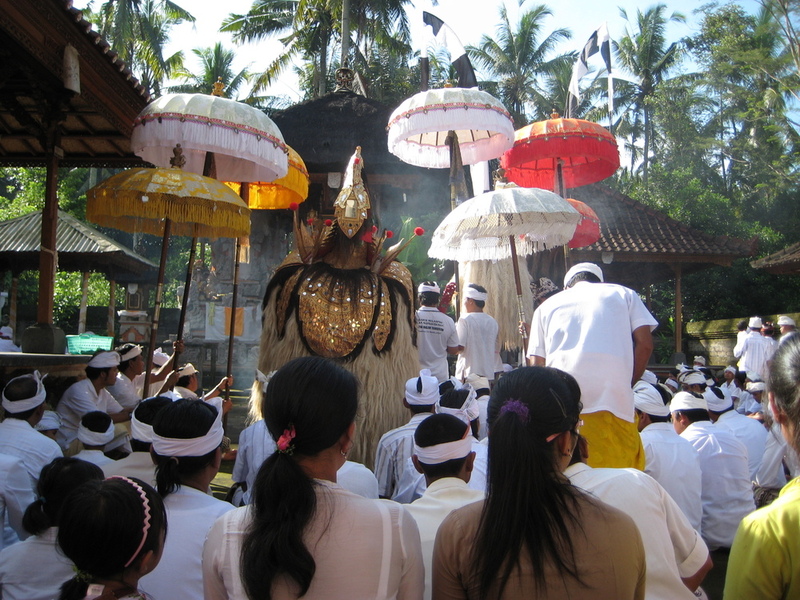 This february 10th in Ubud we witnessed an important cremation ceremony. It was a king’s cremation. 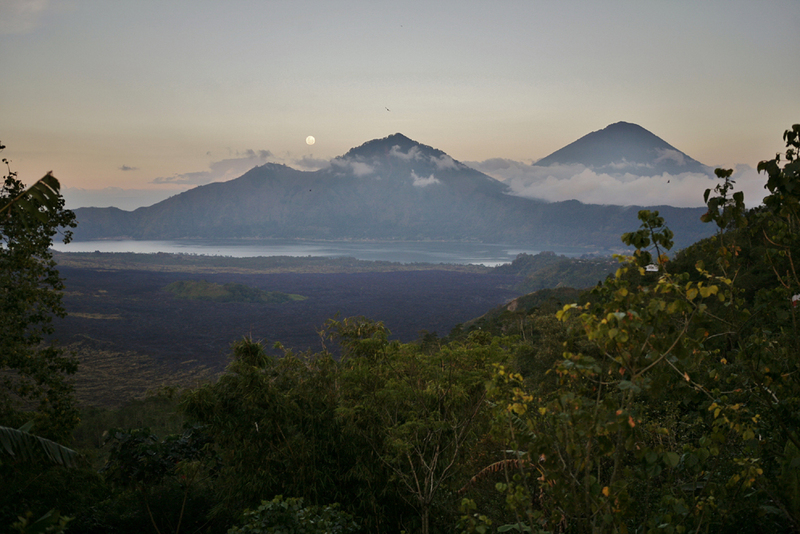 The body of each dead Balinese must be burned so that their souls can join the spirit’s world. 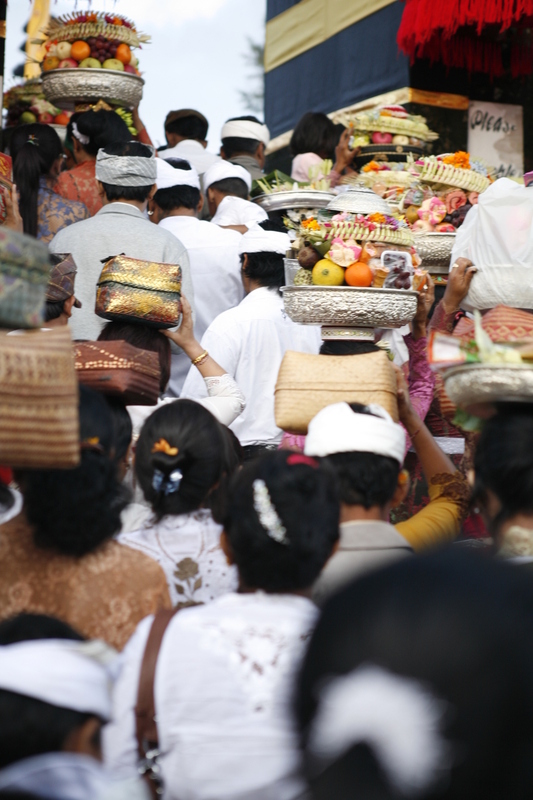 This kind of event is very important for Balinese people .There are ceremonies for every stage of Balinese life but often the last ceremony-cremation-is the biggest. A Balinese cremation can be an amazing, spectacular, colorful, noisy and exciting event. In fact it often takes so long to organize a cremation that years have passed since the death. The funeral ceremony is generally led by a priest and punctuated by a lavish offering of gifts. For the occasion, a large bullock-shaped wooden structure is built . The tower is carried on the shoulders of a group of men, the size of the group depending on the importance of the deceased and hence the size of the tower. At the cremation ground the body is transferred to a funeral sarcophagus. Finally it all goes up in flames - the funeral tower, sarcophagus, body and the lot. Apart from being yet another occasion for Balinese noise and confusion it's a fine opportunity to observe the incredible energy the Balinese put into creating real works of art which are totally ephemeral.